Roulette is not the unbeatable game that most people think. But there are only a few roulette systems that actually work. If you are tired of the rubbish written by people with no real experience and want the real facts about winning roulette strategies, this is the site you’re looking for. You could spend days reading everything, but it’s the most complete and accurate roulette website you’ll find. So take your time and contact us if you have questions. 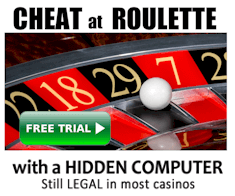 Go directly to the best roulette system that’s legal everywhere. See www.roulette-computers.com for the best roulette computers, and free instructions to make your own. These are hidden electronic devices that measure the speed of the wheel and ball to predict the winning number. They are not a typical roulette strategy or system. They are the most effective strategy to beat roulette, and are legal in approximately half of casinos. However, casinos can still ban you for using them, so they must be used discretely to avoid detection. 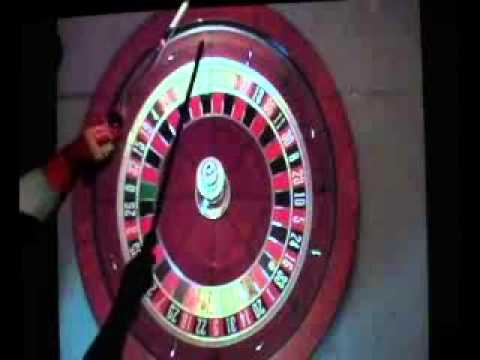 Many roulette computers exist, but most cannot win on modern roulette wheels. If you don’t carefully do your research before purchasing, you may end up wasting your money. See a comparison of available roulette computers. See full details about this roulette system (see option 2). It’s the most effective system that predicts winning numbers before the ball is released, and it’s legal everywhere. 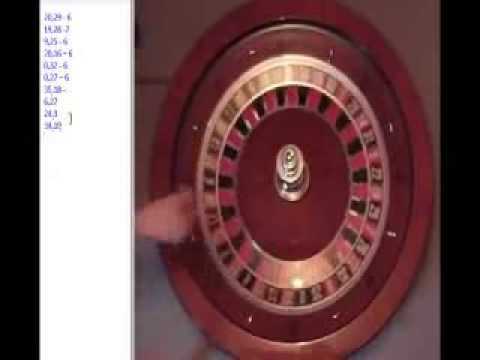 This roulette strategy finds the relationship between the physical variables of the wheel, and the winning numbers. Basically it models “cause and effect”. After all, the winning number is never actually “random” – it’s due to physical variables such as the ball and wheel. 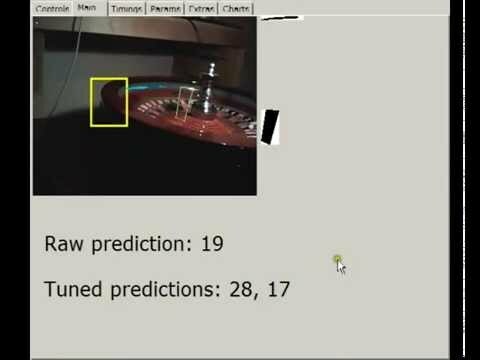 Predicting the next winning number is more a matter of knowing how the variables affect the winning number. More importantly, the method allows you to predict winning numbers even when the variables are different (including when the dealer changes, or if the ball and wheel speeds are varied). Requires 50 – 200 spins per direction before maximum edge is achieved. Some players find this too tedious. Visual ballistics uses your plain eyesight to estimate where the ball will fall. It’s not as difficult as you may think. In fact it’s quite easy with some practice, although it’s still significantly more difficult than other effective strategies. Visual ballistics is a very similar roulette strategy to dealer signature, except you predict the winning number near the end of the spin instead. For example, you make your prediction when there are about 5 ball revolutions remaining. Many dealers tend to spin the wheel and ball at consistent speeds. This can lead to predictable patterns called “dealer signature”, which is why dealers are usually changed every 20-30 minutes. However, roulette strategies using dealer signature don’t work on every wheel. You need the right combination of dealer and wheel. The principles are very simple. Firstly, consider that on most wheels, the ball will tend to hit some metal deflectors (diamonds) more often than others. These are called “dominant diamonds”. If you drew a chart showing which diamonds the ball hits, it would look like the image shown right. 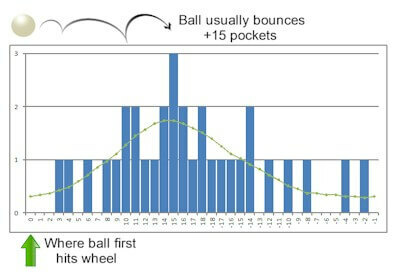 Secondly, consider that the ball bounce is never completely unpredictable. For example, if you see where the ball hits the wheel (rotor), you can guess approximately where the ball will land. You wont have perfect accuracy, but you don’t need perfect accuracy. Now say the wheel was always much the same speed, and the ball always did around 10 revolutions before hitting the dominant diamond. This means that the ball would be travelling a predictable distance, be falling in a predictable area, then bouncing a predictable distance. Putting this all together, dealer signature requires you to first find suitable wheels. Then you need to find a suitable dealer for that wheel. There’s nothing difficult about it, and although it works, it has limitations. Do biased wheels exist today? Certainly yes, although casinos monitor spin results and quickly replace any significantly biased wheels. However, the software casinos use to monitor their wheels require around 10,000 spins to analyze. The good news is advanced techniques can spot a bias in far fewer spins. This means you you find and profit from a biased wheel before the casino even knows about it. The casino has an in-built advantage called the “house edge”. For example, a bet on number has a 1 in 37 chance of winning, but a win pays only 35 to 1. So even when you win, you still lose because the payout is unfair. Over time, the unfair payouts erode your bankroll. It’s much the same for other roulette bets. 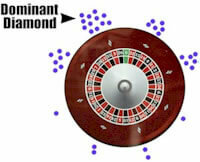 Any roulette strategy can only overcome this by predicting winning numbers with better than 1 in 35 accuracy. In other words you must consider why the ball lands where it does, and predict future spins. However, most roulette systems don’t even consider the “accuracy of predictions”. Most use ineffective and roundabout calculations based on patterns that only appear in old spins. Such systems neglect the real physical factors that determine the winning number. Betting progression: This is when you increase the bets to cover losses. It doesn’t work because every spin is independent, and when you change bet size, you are only changing the amount you bet on an individual spin. At first it’s hard to understand this concept because you may be stuck thinking “a good win will get back the losses”. Thinking numbers are “due”: Nothing is ever “due” to happen. Even after 10 reds in a row, the odds of red or black spinning next are no different. If you don’t believe this, check records of thousands of spins and look for instances where 10 reds spin in a row, then check the amount of times red or black spins next. You’ll find the odds haven’t changed. Martingale Roulette System: The most famous losing system. It is basically a betting progression where you increase bet size after losses. Fibonacci Roulette System: It is supposed to take advantage of the Fibonacci sequence found in nature. But ultimately it doesn’t even consider what the Fibonacci sequence actually represents, and is just another betting progression. The Labouchere: Also known as the “cancellation system” or “split martingale”, it uses typical gambler’s fallacies and is another guaranteed way to lose. The James Bond System: Uses a repeated bet with basic progression. A win is never “due”, the odds of winning aren’t changed, and progression merely changes the amount the player risks. Following Streaks: Based on the assumption that the more reds or blacks that spin in a row, the more likely the streak will continue. It doesn’t work because the odds of winning don’t change after any streak, unless there is a physical reason causing a “bias”. Breaking Streaks: Assumes that after many consecutive reds, black is “due” to spin next. The player waits for many consecutive reds (or blacks), then bets on the opposite color. For more detail about why roulette strategies fail, see the roulette strategy page. If you understand the information, you’ll know there’s only one approach that works. Ultimately you can only beat roulette by increasing the accuracy of your predictions. This can only be done with physics, because only physics determines the winning number. Sounds logical, right? How accurate do predictions need to be? . . . Well keep in mind the house edge is a small -2.7% so you only need to have slightly better than random accuracy. And this is quite easy to do. 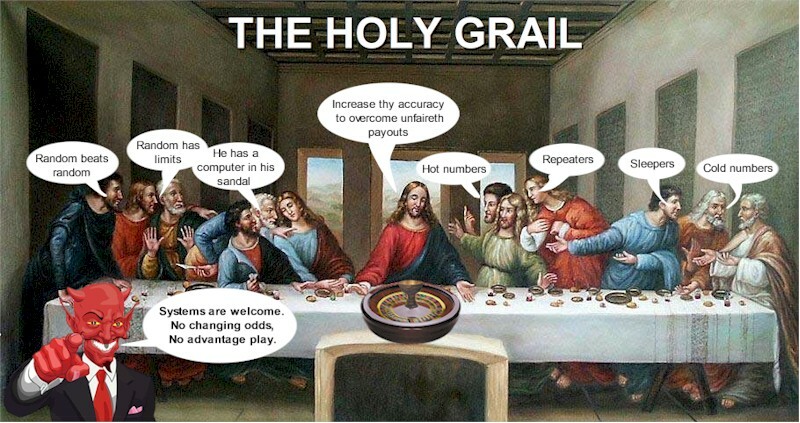 Does The Holy Grail System Exist? While inexperienced gamblers waste time on proven ineffective strategies, casinos thrive on the ignorance. The only way to beat roulette is by exploiting the mechanism that determines winning numbers. With real roulette wheels, it is the wheel, ball, and other physical variables. With random number generators (RNG), it is the pseudo-random number generator algorithm. There are many ways to exploit whatever determines winning numbers. But it does not involve the known losing approaches. Don’t try and re-invent something that doesn’t work. Start with credible research that reveals what is known to work. Is It Really Possible To Beat Roulette? Real players beat it every day. You just don’t normally hear about it because 99.99% of roulette strategies lose. But sometimes big wins make the news like the ones above. So of course casinos know all about it, but they understandably want to keep it low profile. But as long as the vast majority of roulette players lose, roulette will always be a profitable game for casinos. 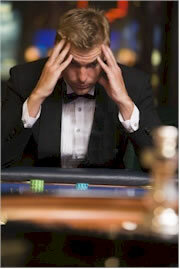 Generally casino staff view professional players more as a nuisance than a serious threat. They know you can win a lot very quickly, but they rely mostly on detecting you before winning too much. There are various steps casinos can take to make winning more difficult. But this tends to slow down the game and make spins less frequent. This ultimately loses the casino money because less frequent spins means less money wagered, and less revenue for them. So casinos rely more on detection of consistent winners than making winning impossible. If you are detected, the casino staff temporarily change procedures to make winning more difficult. For example, the dealer may call “no more bets” earlier, which makes techniques like visual ballistics ineffective. Then once you leave, normal procedure can resume. You can still sneak back in later. But if you don’t get greedy by winning too much too soon, you can earn substantial profits without being detected. Create a chart like the one shown here (for each direction), and place a dot next to each diamond the ball hits. You’ll find most wheels have particular diamonds that the ball hits most. The more dominant the diamond hits, the more predictable the wheel, although wheels can still be beaten even if there aren’t any dominant diamonds. Observe how far the ball bounces after first hitting the wheel rotor. Measure the distance in pockets, and you’ll find that the ball bounces a predictable distance. The chart shows typical results. When you combine these two factors, you’ll see that where the ball first falls, and where it bounces is quite predictable. 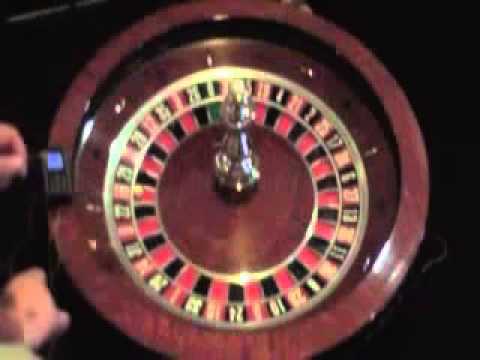 In fact it’s virtually impossible to have a roulette wheel with completely unpredictable spins. Remember that the house edge is only small (-2.7%) but it earns casinos millions. You only need slight accuracy to have an edge at roulette. This is why the casinos know their best defence is detecting consistent winners, but it’s easy for you to win $1,000+ per session without being detected. Most of the roulette strategies above are provided free. But the more powerful physics roulette system and roulette computers are available only to purchasers. The roulette computers are the quickest and most profitable option, and are still legal in about half of casinos (mostly Europe). But legal or not, you can still be banned from casinos if caught using them. They can be used at some online casinos. Most people prefer the physics roulette system because it is legal everywhere and can be used on a broad range of wheels, including wheels at many online casinos and automated wheels (where the ball is released automatically). It is very simple to use because automated software does the sophisticated analysis for you, and it gives you convenient betting charts that tell you when and where to bet. * The data above is based on typical results and is not a guarantee you will achieve the same results. Some players earn more, and some earn less. Also “difficulty” is largely opinion. The comparisons of difficulty are relative to other strategies. Use the free roulette strategies provided for a better understanding of what professional play involves. How Can You Avoid Detection? A betting system is to win, and a roulette strategy for everything else including remaining undetected, keeping winnings, when to play and so on. For example, a good strategy is to avoid playing on Friday and Saturday nights as the table is too busy, and the wheel spins infrequently. This makes play tedious and impractical. It is better to play when fewer people are at the table, but not too few because you should blend in to help avoid detection. With the correct strategy, it is relatively easy for players to win more than enough to live comfortable. More about recommended strategies is throughout this website. 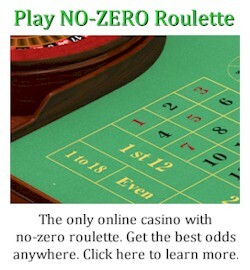 Most websites with roulette tips exist only to promote online casinos. 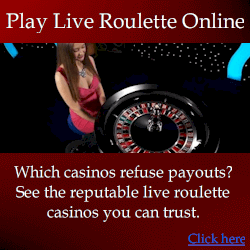 The website owners usually have no experience with professional roulette strategies. Some may advise betting strategies such as the Martingale, the Tier et Tout, Labouchere and other similar systems that simply fail. It is difficult to find accurate advice about winning roulette. A good way of knowing which strategies work is by seeing what the casinos are trying to ban. And for many years they’ve been trying to ban the techniques provided here. Relatively few players are aware of advantage play methods for roulette, which are the only strategies that really work. Although more players are becoming aware of them, the real secrets that work in modern casinos are still relatively unknown.